this little piece of heaven on earth. St Peter’s RFC Clubhouse is a self funded centre that provides a whole host of facilities for the benefit of the whole community. It caters for all walks of life, and is used by an array of faiths and cultures. The club is capable of offering support for conferencing, entertainment, and many sports. Within the Clubhouse there are four changing rooms with showers, conference facilities, extensive bar area with Sky TV including Sports and a large sports hall. Outside the is an extensive playing field containing three rugby pitches during the winter and baseball facilities during the summer. The carpark can hold 50 cars with dedicated disabled spaces. The diversity of the support the club offers can be seen in a list of just some of the current users. As mentioned above the club is host to St Peter’s R.F.C, and is responsible for supporting over five hundred adults and children. The numbers are made up by three Senior Rugby Teams, a Youth Team and nine Junior Teams. 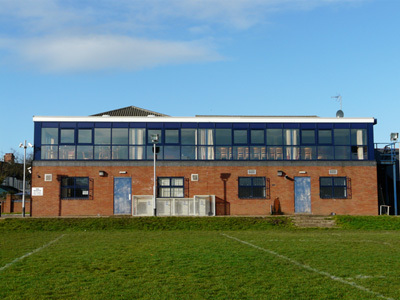 The Clubhouse at Minster Rd, on the Harlequins Playing field, is the third home of St. Peter’s RFC. The Rocks moved into Minster Rd having used the facilities of St. Peter’s CYMS, later CMS, and 118 Newport Rd until December 2003. We are grateful to ISTL Engineering Limited for its superb work in the fit-out of the clubhouse. The new lounge on the first floor. There is a great view of the pitch from the lounge bar.